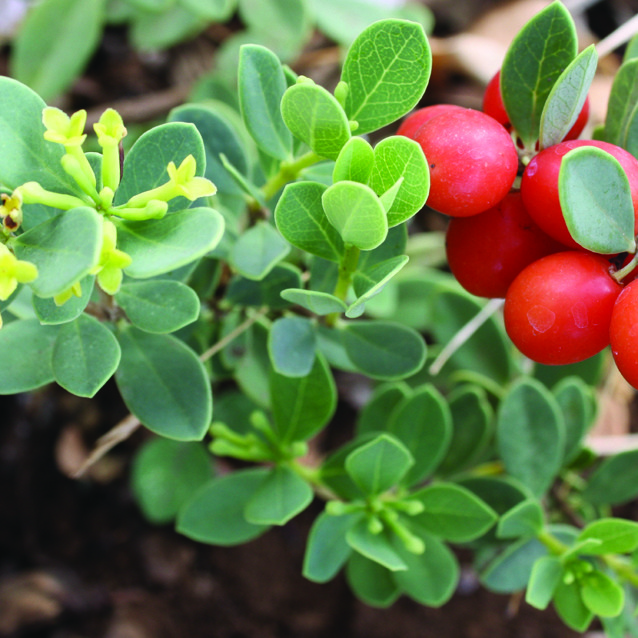 'Ākia is a shrub or groundcover depending on the genetics of the mother stock. W. uva-ursi is the most commonly used 'ākia and stays less than 2 feet tall, while W. oahuensis and W. monti-cola are shrubs that get up to 6 feet tall. All 'ākia have fragrant yellowish small flowers and showy red or orange fruit. They are tough in the wind and have low water requirements. 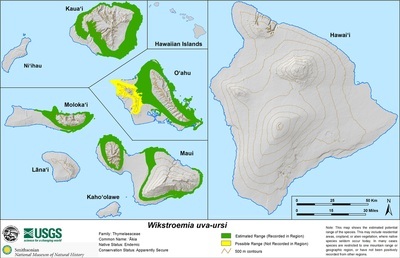 more info on 'ākia Wikstroemia sp.